The Master Lock No. 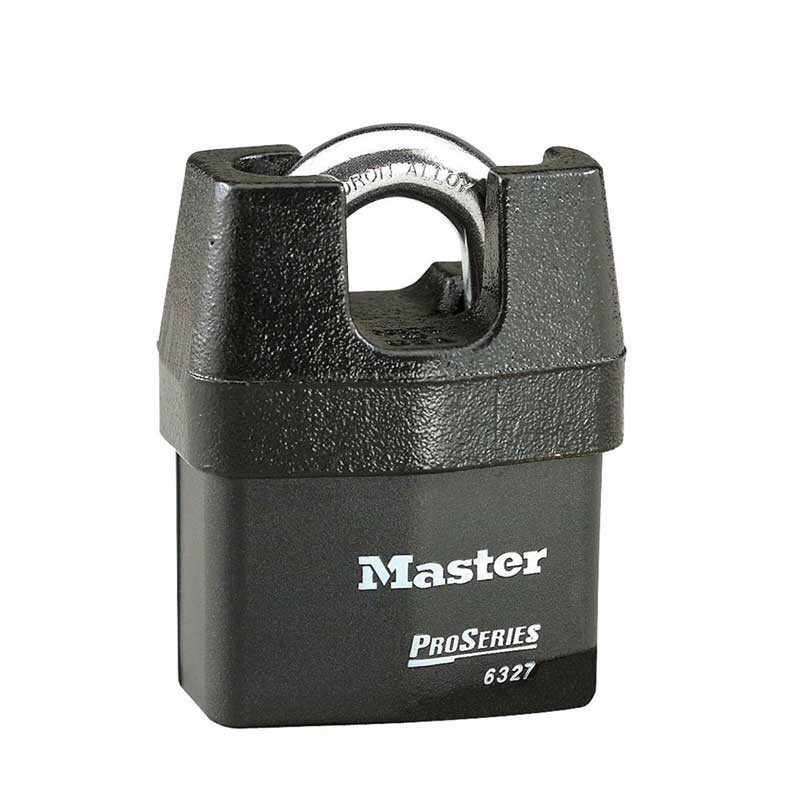 6327 ProSeries Shrouded Padlock features a 2-5/8in (67mm) heavy steel body that withstands physical attack and a 3/4in (19mm) tall, 7/16in (11mm) diameter hardened boron alloy shackle for superior cut resistance. Ideal for transportation and industrial applications, the iron shroud protects the shackle from bolt cutters and a dual ball locking mechanism resists pulling and prying. The high security, rekeyable 5-pin cylinder with spool pins is virtually impossible to pick. Iron shroud protects shackle from bolt cutters. ProSeries Padlocks are designed for Commercial/Industrial applications. 2-5/8in (67mm) heavy steel body withstands physical attack. 3/4in (19mm) tall, 7/16in (11mm) diameter hardened boron alloy shackle for superior cut resistance. Dual ball locking mechanism resists pulling and prying. High security, rekeyable 5-pin cylinder with spool pins is virtually impossible to pick.